Parsley is an herb that has either bright green curly or flat leaves vertically arranged stems. Known as Petroselinum, parsley is in the Apiaceae family, which is native to the Mediterranean but can be found throughout the world. The parts of the plant used for medicinal purposes are the leaf, root, and seed. The leaves and roots are used as garnish and flavoring in food. The seed's oil is used as a fragrance in perfumes and soaps. 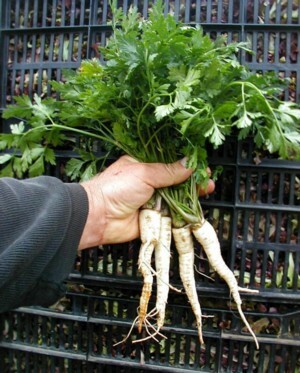 Warfarin: Parsley interferes with warfarin's ability to control blood clotting. 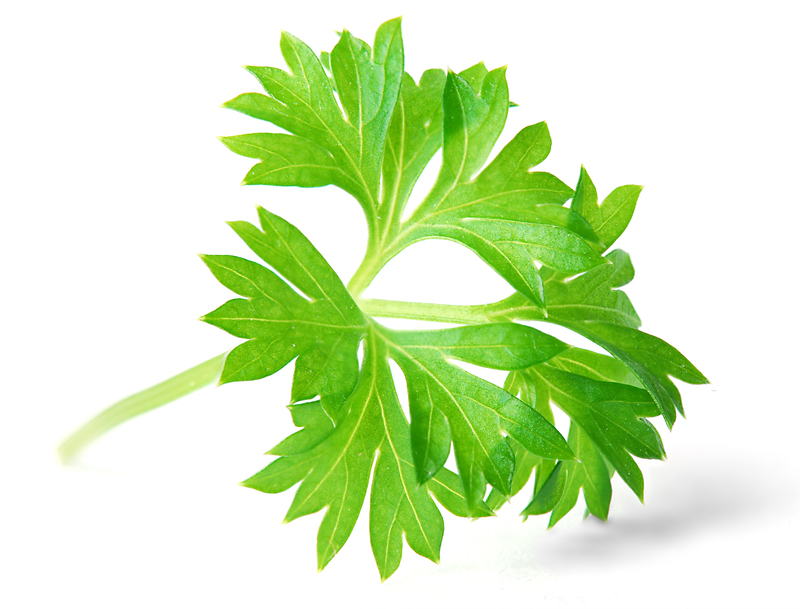 Water pills: Taking parsley with water pills may cause too much water loss. Aspirin: The pain killer may aggravate or intensify a parsley allergy. Short-term medicinal use is generally safe. Parsley can cause topical allergies. Eating copious amounts of parsley can result in anemia, liver, and kidney problems. Parsley seed oil can cause sun sensitivity. Do not use parsley leaves or roots on skin. Eating a normal amount of parsley is safe for pregnant and breastfeeding women. Do not take medicinal doses. Higher doses could cause contractions, abortion, and menstruation. Do not take dong quai and An-Tai-Yin, an herbal remedy with parsley, during the first three months of pregnancy. It may cause birth defects. Parsley oil could cause a variety of side effects including loss of balance, headaches, convulsions, and kidney problems. Do not eat too much parsley if you have high blood pressure. The herb may cause sodium retention. Parsley may cause fluid retention. Do not eat too much parsley if you have edema. Chemicals in parsley may exacerbate kidney disease. It's important to use caution when gathering wild parsley since three poisonous plants are similar to this common shrub. Also called dog poison, fool's parsley, and small hemlock, this plant's leaves have shiny, yellowish-green backsides and the flowers are white, while parsley's leaves are dull at the back and the flowers are yellowish. This is also called poison hemlock, water hemlock, or poison parsley. The poison hemlock plant is bigger than parsley's. It has large feather-like leaves with tiny leaflets, a hollow, purple-spotted stem, and small white flowers arranged in clusters. All parts of this plant are poisonous. Also called water hemlock, this herb has short tuberous roots and hollow stems that have purple blotches or stripes. The leaves alternate and the clustered flowers are small and white. There are also tiny leaflets. Conium and Cicuta poisoning can cause vomiting, diarrhea, paralysis, dilated pupils, convulsions, weakness, and death. Dosages for parsley have not been established. Dosage depends on many variables, including age and health status. Consult your healthcare provider to find out the best dosage for you. Natural doesn't necessarily mean safe. Follow all directions and consult a qualified healthcare professional for more information before using natural products, including parsley. Parsley in supplement form is not regulated by the FDA. Talk to your doctor before changing your diet or taking a new supplement. WebMD.com; "Find a vitamin or supplement: Parsley"
North Carolina Cooperative Extension; Poisonous Plants of North Carolina; "Conium Maculatum"
North Carolina Cooperative Extension; Poisonous Plants of North Carolina; "Cicuta Maculata"